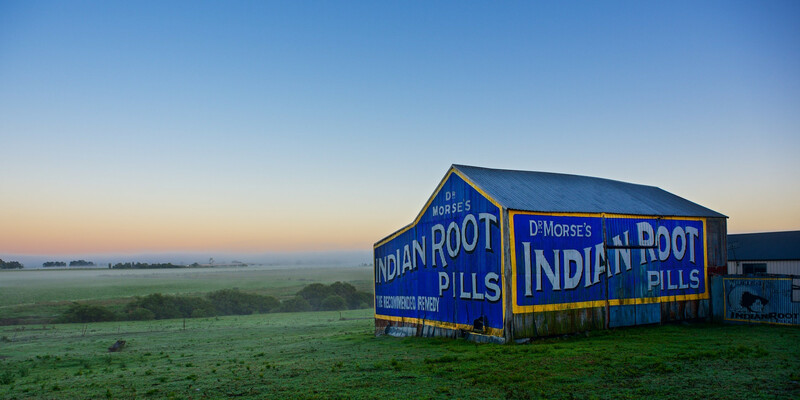 The Dr Morse's Indian Root Pills signage on the side of a shed in Maitland is an iconic building for locals. I captured it early morning when the light was soft and a little mist along the river below. A truly iconic rural shed in the Morpeth and Raworth area of Maitland NSW.